Rev. 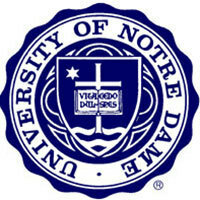 John I. Jenkins, C.S.C., president of the University of Notre Dame, has asked that the Notre Dame community keep Theresa Sagartz and her family in their thoughts and prayers. Sagartz, 21, a junior from Albuquerque, New Mexico, and a third-generation member of the Notre Dame family, passed away at her off-campus residence, where she was found Wednesday (March 9). Upon the conclusion of spring break, a Mass will be celebrated on campus in Theresa’s memory. Originally published by Dennis Brown at news.nd.edu on March 10, 2016.